"Consistently elite class among the seniors, he's finished top-20 on five of his last seven European Tour starts. That includes a Rolex Series event and the Dubai Desert Classic - a big-hitters course." Unless you fancy an absolute miracle result at the World Cup of Golf, there's only one tournament in which to find good value bets at 99-1 or bigger. Consequently, it was impossible to completely avoid duplication with other tips from the fine judges on these pages. Evidently, we all agree the Hong Kong Open is the ideal event to target outsiders. Be sure to check the closing paragraphs of this piece for several alternatives. First I must add the ultimate tournament specialist to the team at enhanced win only odds on the exchange. 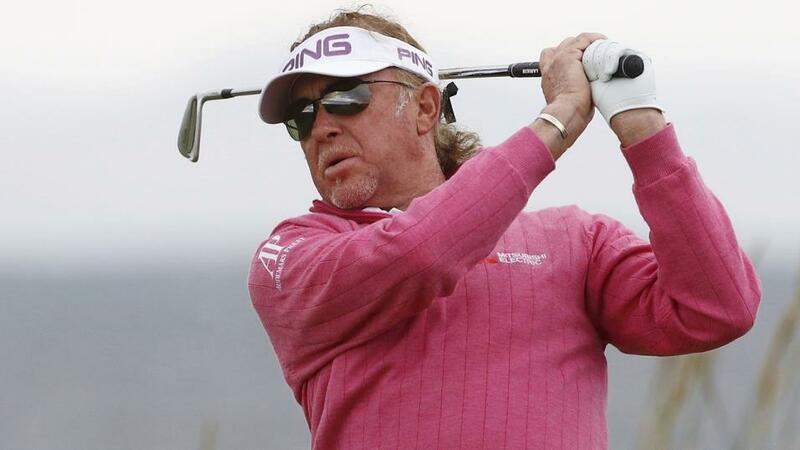 Jimenez has won this title four times, most recently in 2013, but showed he can still compete when seventh last year. Do odds of [110.0] reflect age bias? I would price Jimenez closer to half these odds. It isn't clear to me that 'The Mechanic' has deteriorated - rather than just inevitably outgunned off the tee nowadays. As Steve Rawlings explains in his comprehensive preview, that doesn't matter around this short, tight track. Regarding the key stats for Fanling, Jimenez retains his strength in driving accuracy, greens in regulation, scrambling and par-four scoring. Consistently elite class among the seniors, he's finished top-20 on five of his last seven European Tour starts. That includes a Rolex Series event and the Dubai Desert Classic - a big-hitters course. Next it is essential to follow Dave Tindall's tip from our each-way column - Steve is also on at [180.0]. Again, this is a course specialist with bags of experience around Fanling. Que has recorded a quintet of top-15 finishes here, including a pair of top-fives. He arrives in good form with a recent win and spate of high finishes in Japan. Statistically, Que's Fanling record makes perfect sense. He's very accurate from tee to green and scrambles well. Once again, a relative lack of power off the tee will not, for once, be a handicap. There was very little positive to recommend in Janewattananond's four previous attempts here to recommend but perhaps there is a legitimate excuse. This Thai player is still only 22 years old and, to reiterate, this is a course that rewards experience. On wider form, these odds look way too big. In Asia, he won the competitive Queens Cup and was runner-up next time out, among four top-tens since June. In Europe, Jazz was sixth in the Nordea Masters and 20th in Denmark. That suggests he's on an upward curve and his recent tee-to-green stats bode well. Now to those alternatives. Four of our five each-way picks are trading at triple-figures on the exchange. I've gone for Justin Harding [150.0], while Mike Norman goes for Paul Peterson [130.0] - who did us a favour here last year and was high on my shortlist again. Steve recommends another Fanling specialist in SSP Chawrasia [150.0] and another batch rising all the way to [1000.0] chance Rashid Khan in his preview.